The following article was written by IndieCork co-founder Mick Hannigan – on the genesis of Ireland’s most exciting showcase of independent cinema and music. The original article can be found on the RTÉ Website – Click Here. The genesis of the IndieCork festival of film & music was the parting of the ways four years ago of my long-time colleague Úna Feely and I from our then employers, the Cork Film Festival. There was much talk of CFF becoming a ‘red-carpet festival’ and we were concerned at the loss of focus on young and emerging filmmakers, particularly those working in short film. We had, after all, spent many years building the festival up to be the premier festival for shorts in Ireland. We’ve have always championed the short film, both as an art form in its own right and as a way of spotting new filmmaking talent. Identifying young talent and following their subsequent film careers was always the payback for us. I remember, for example, Harry Potter director David Yates as a diffident 21-year-old in Cork with his wonderful short When I Was a Girl, or John Moore with Jack’s Bicycle or Lenny Abrahamson’s 3 Joes. There are other many examples I could cite. We wanted a vehicle to continue that work and began to plot a festival specializing in shorts and independent filmmaking. During one planning meeting I took a call from Cork publican and craft brewer Benny McCabe offering financial support. There were high-fives exchanged at that meeting I can tell you – without this endorsement we wouldn’t have achieved lift-off. Benny’s Rising Sons Brewery are still sponsoring the festival as well as providing his fine products for our thirsty guests. While we had no doubt about our ability to attract great shorts from Ireland and abroad, we did wonder if there was a sufficiently lively Irish indie scene. We needn’t have worried. Wonderful Irish features land on our laps each year, made without Irish Film Board or Section 481 funding, but showing great talent and inventiveness. Epitomising the ‘can-do’ attitude of those working in the indie scene is the slogan on the poster of our Opening Film, Dead Along The Way: ‘No crowd funding, No Film Board. No budget. No problem. Made with our own blood’. As an aside – though an important one – Dead Along The Way has now sold out its Screen 1 cinema premiere in Cork! It’s particularly heartening for us to see IndieCork alumni returning with their new indie features. In our first festival in 2013 we premiered Tom Ryan’s Trampoline and now he’s back with the acclaimed Twice Shy, Gerard Walsh is back with South having premiered A Day Like Today with us in 2014. Maurice O’Carroll had three shorts screened in 2013 and is back with the aforementioned Dead Along The Way. We’re happy that IndieCork has found its place in the ecology of the Irish film scene. We’re now the largest festival for shorts in Ireland and the only one to screen indie features in a proper cinema format. The addition this year of the Blacknight Festival Centre, for film-related talks, discussions, workshops and afterparties, now means that we can enhance the festival experience for audiences and filmmakers alike. So, four years in, with a sold out opening show, a cracking programme and a loyal, and engaged audience, we look with confidence to the future of IndieCork. 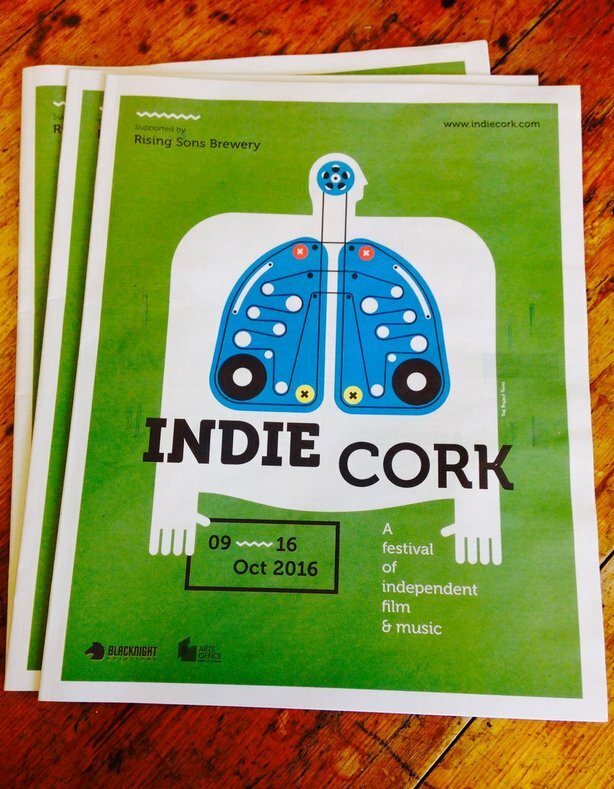 IndieCork 2016 kicks off on 9th October – view the programme in full here.